Providence Personal Injury Attorney & Auto Accident Lawyer David Slepkow helps clients concerning their Car Accident, Truck Accident and Motorcycle Accidents. David Slepkow is a member of the Rhode Island and Massachusetts bar. David has a superb rating from AVVO 10.0 out of 10. 80+ years of Law Firm legal excellence! He is also honored to be a member of The United States Supreme Court Bar. East Providence Personal Injury Lawyer, David Slepkow will do everything he can to get you the best settlement possible to compensate you. No Fee Unless Successful. 1) What should I do if I am injured in a Rhode Island Car Accident? You need to stop at the scene of the Rhode Island Auto Accident. You must call the local police and notify them of the Rhode Island Car Accident. You should obtain all the pertinent information from the other driver. If you are injured, make sure you obtain medical treatment for your personal injury. Obtain all information concerning witnesses to the motor vehicle accident. Take a cell phone pictures or videos of the vehicles involved in the accident and the scene of the accident. Take pictures of any bruises or physical conditions. 2) How much compensation will I receive for my injuries and pain and suffering as a result of the RI car Crash? 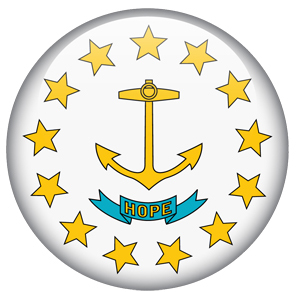 3) What is the Statute of Limitations in Rhode Island (RI)? Rhode Island has a 3 year staute of limitations for most Personal Injury, Motorcycle Accidents, Truck Accidents, slip and fall, car accident and RI Premises Liability claims. Please contact a RI Personal Injury Lawyer to determine the applicable SOL. 4) What if I am injured and the other party is at fault but has no insurance? You have the legal right to file a claim against the person or corporation whose negligence caused your injury. However, in many cases the negligent party does not have the assets or funds to be able to pay your damages. So long as you have uninsured or under-insured motorist protection, you will be able to file a claim against your own insurance company for uninsured or under-insured claims. 5) What will happen if I am injured in a hit and run car accident in Rhode Island. 6) What are the most common types of motor vehicle accidents in Rhode Island? Car & truck (semi truck, tractor trailer, 18 wheeler) crash. Motorcycle / Bike, Van, bus and vehicular collisions with pedestrians and bicycles. Victims may have hernia mesh problems years later. The factors needed to determine a fair hernia mesh settlement.